The Sasquatch Outpost has become more than a store with bigfoot mechandise, it has become a bgfoot museum, complete with a map for local Coloradians to pin their own bigfoot encounters. Two local TV news rporters decided to go "squatchin'" with Jim and Daphne Myers who co-own the store. Below is the video with a snip-it from the companion article from KSNT FOX21 News. 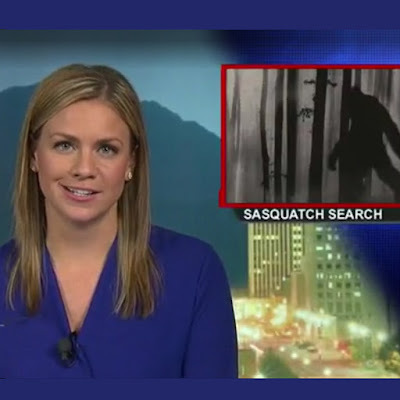 FOX21’s Abbie Burke and Ray Harless went out with the Myers in search of Bigfoot, but were unsuccessful. However, just months before, Kevin Lynn said he had an encounter nearby. Lynn and a friend went searching for Sasquatch in late July along the Colorado Trail in the Lost Creek Wilderness Area. “It started to get dark and we decided we needed to find a flat place to set up camp and also get a fire going,” said Lynn. No one has officially been able to prove Bigfoot’s existence, but those who believe say a mind can be changed in an instant. “It only takes one sighting and you’re an instant believer,” said Daphne. Visit the official site for the Sasquatch Outpost! Don't miss the most controversial HopsSquatch yet! Dr. Matthew Johnson has two successful habituation areas, and he claims one of them has opening and closing portals. He is also on record suggesting that Sasquatch have cloaking abilities. WHO IS DR. MATTHEW JOHNSON? His history goas back to the year 2000 and Guy Edwards from Bigfoot Lunch Club categorizes his history ion three phases. PHASE 1: The Encounter | July 2000Dr. Matthew Johnson's Bigfoot history begins at Oregon Caves National Park in Southern Oregon on July 1st 2000. You can read his a detailed BFRO report of his encounter. Here's the very short version. After exiting a cave, Dr. Johnson was with his family when he was alerted by a foul smell and loud vocalizations. After walking away from his family to take care of "business" he scanned downhill towards them and saw a Bigfoot. If you have ever heard Dr. Johnson recall this story in person, he gets very emotional at this point. This is the point where he expresses his concern for his family's safety. PHASE 2: 2011 Cloaking Revealed | June 2011Fast-forward to 11 years later when Dr. Johnson had a conversation with only four people present. The conversation would be a milestone in the retelling of the Oregon Cave encounter. 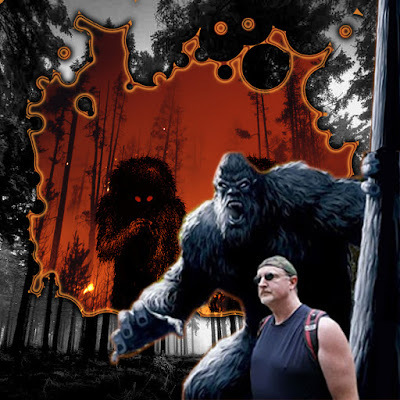 PHASE 3: The Portal | June 2014After years of keeping his Southern Oregon Habituation Area (SOHA) to himself, Dr. Matthew Johnson began to invite hand-picked researchers to his bigfoot habituation site. In June of 2014, Adam Davies and John Carlson were among the exclusive researchers allowed to camp at SOHA and what they encountered still defies explanation, although Dr. Matthew Johnson tried at his conference. At the conference Dr. Johnson talked about visible portals to other dimensions and half-sized bigfoots with glowing eyes.